When sun doesn’t shine, the air is cold and damp and the whole of Paris turns to grey, escape to the Palais du Louvre and lose yourself in its rambling galleries of treasures. The site between the Rue de Rivoli and the Seine at the end of the Jardin des Tuileries, has been occupied by fortresses, castles and palaces since the 12th century. But it was the Sun King, Louis XIV who built the magnificent Palais du Louvre that stands there today. It became a Museum in 1793, after the French Revolution, and since then it has housed the treasures of the nation as well as a vast and continually growing wealth of art and artefacts from around the world. 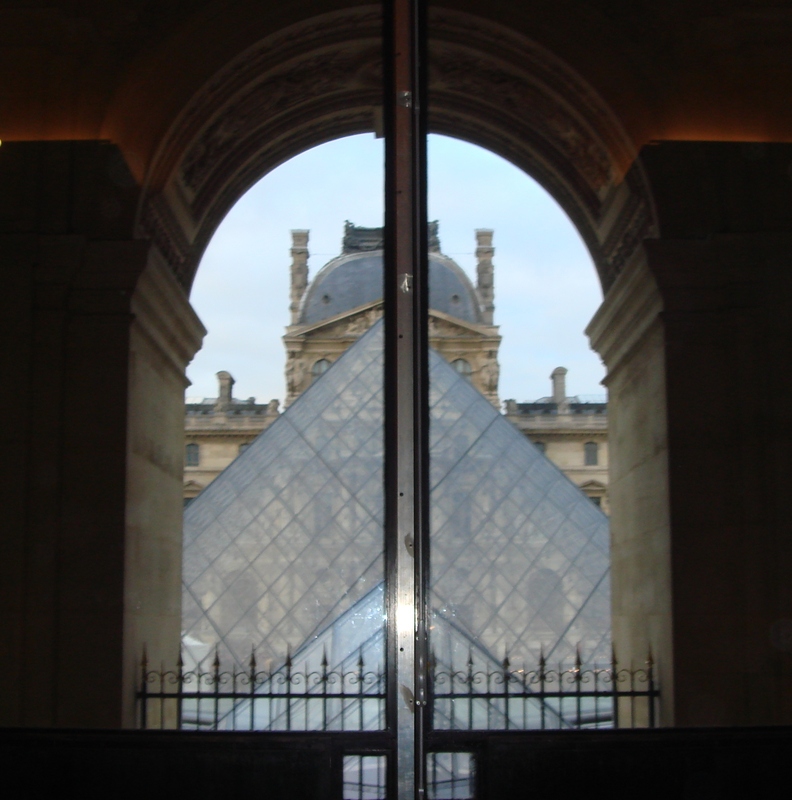 There is no official starting or finishing point to the Louvre. The journey of discovery through the giant U of four floors is entirely a matter of personal choice. 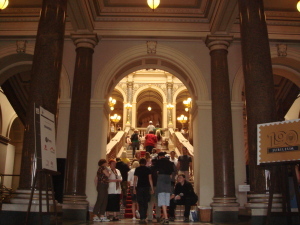 A guided tour of course will take you systematically around the high interest areas and an audioguide will talk you methodically through the collections. For the independent explorer, museum maps are clear, multi-lingual and laid out floor by floor, with collections coded by colour. Of course, you can always simply ramble at will and let one thing lead to another. 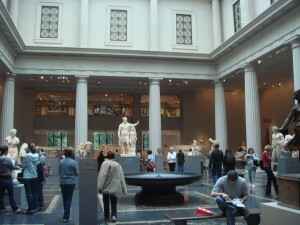 Whatever your particular passion in art, it’s all here at the Louvre; Oriental antiquities from Mesopotamia, Iran and the Levant, dating back to 7,000Bc, Egyptian antiquities from the earliest times to Cleopatra, Greek, Etruscan and Roman antiquities from the 3rd Millenium BC to 6AD, paintings, from the mid 13th century from the French, Italian, Spanish, Flemish, German and Dutch schools, Sculptures from the late Middle Ages to the mid 19th century from France, Italy, Spain and Northern Europe, objets d’art from the middle ages and the Renaissance as well as decorative arts from the 17th and 18th centuries, jewellery and furniture, Islamaic Arts from Iran, Central Asia and India, prints and drwaings including the Edmond de Rothschild collection. 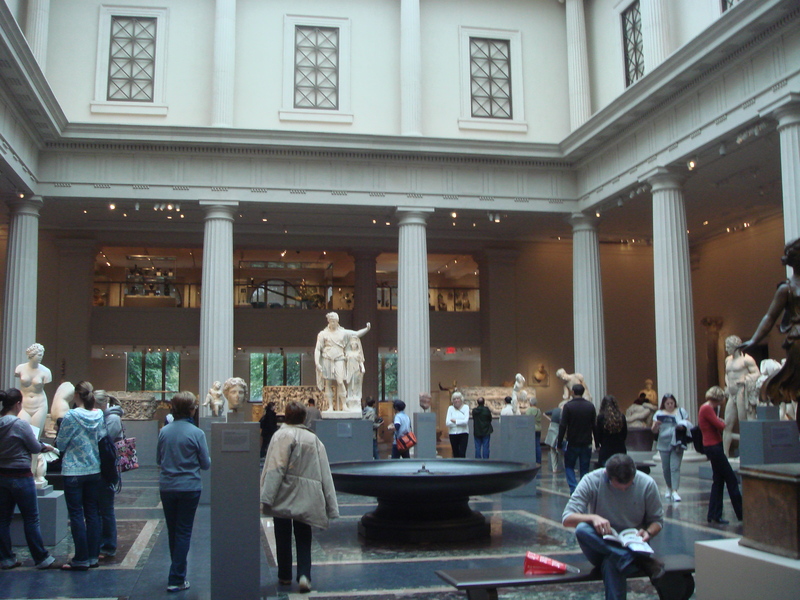 Some, like La Jaconde or the Mona Lisa are world famous and are constantly surrounded by crowds of touriists, while, others, like many of the artefacts from Oceania, in their quiet gallery down on the ground floor, are little known and never crowded out. The Louvre is as fascinating, too, for its own history, architecture and decoration as for the collections it contains. Two rooms are dedicated to the history and architectural development of the Louvre. But, as you browse through the other galleries, look above, around and beyond the paintings, sculptures and artefacts, the ceilings and the walls have their own stories to tell. From the giant stone horseman in the Plaza San Martin to the towering monolith on the Avenida 9 de Julio, to the bold grinning mannequins at the windows of the conventillos of Caminito, Buenos Aires is a city rich in public art. Designed and funded entirely by architect Eduardo Catalano, it was installed in 2002, a year after the disastrous crash of 2001. 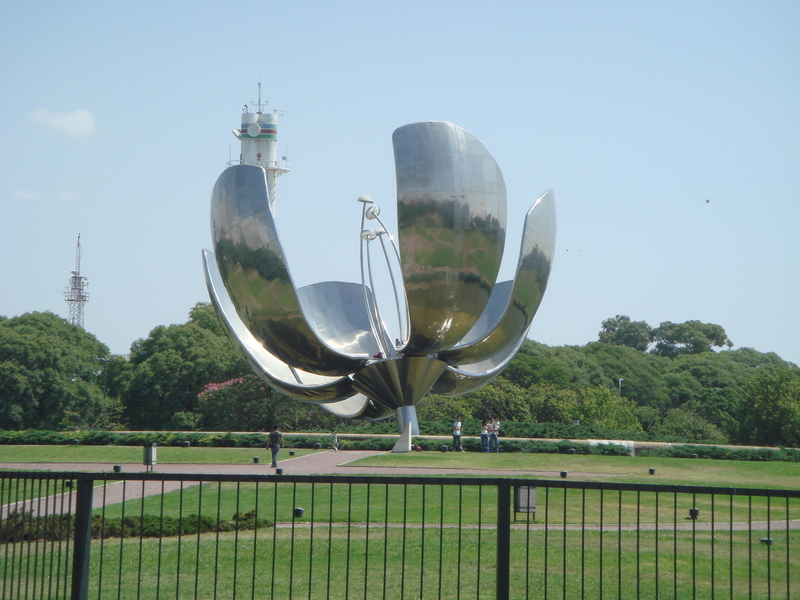 The giant flower has 20metre high steel and aluminium petals which open at dawn and close at dusk. By night it glows with warm red lights. 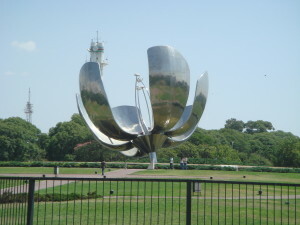 In the dark days of 2001, the sculpture might have served as a sign of hope, a promise that Argentina would blossom again, as it most certainly has.